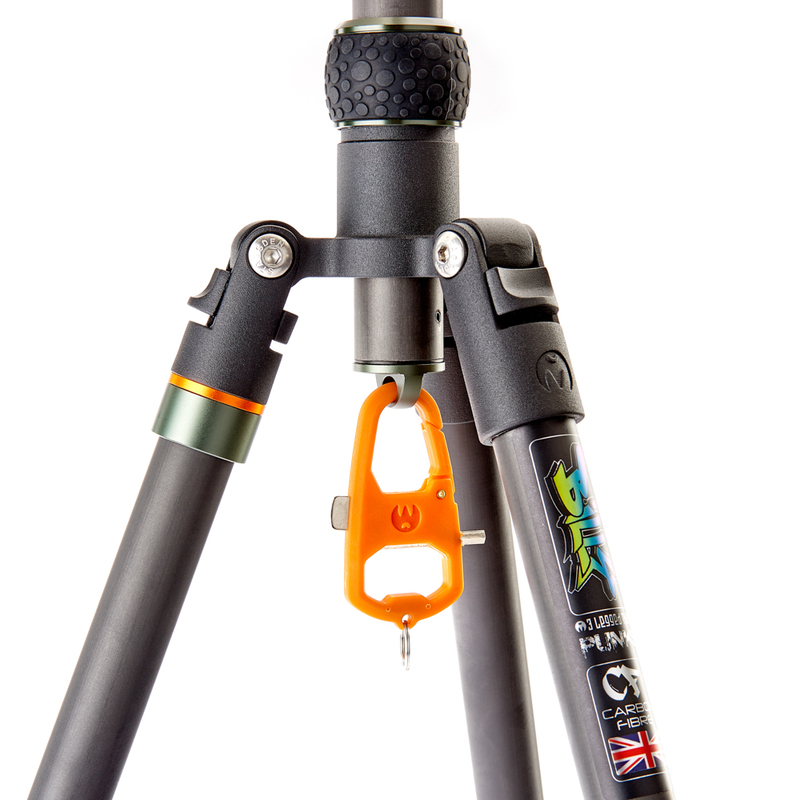 Billy is our first full carbon Punk tripod from the new range. 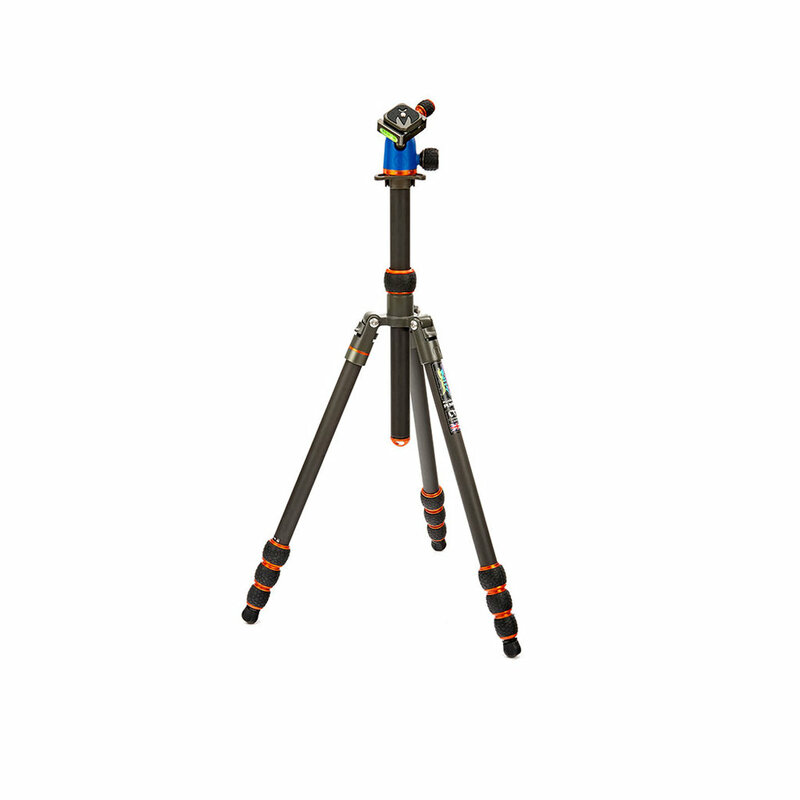 Built for everyday use, Billy is our lightest tripod in the current line up, but built to withstand every day punishment. Or anywhere else, for that matter. At just 1.38 kg / 3 lb, Billy is the easiest tripod to transport in our range. Topping out at 1.645 m / 65 ", Billy is a tripod with a serious working height, that still extends to 1.37 m / 53.5" without the column installed, giving you a stable, workable solution in even the most difficult conditions. Billy, like our other Punks tripods, has one or two tricks up his sleeve. 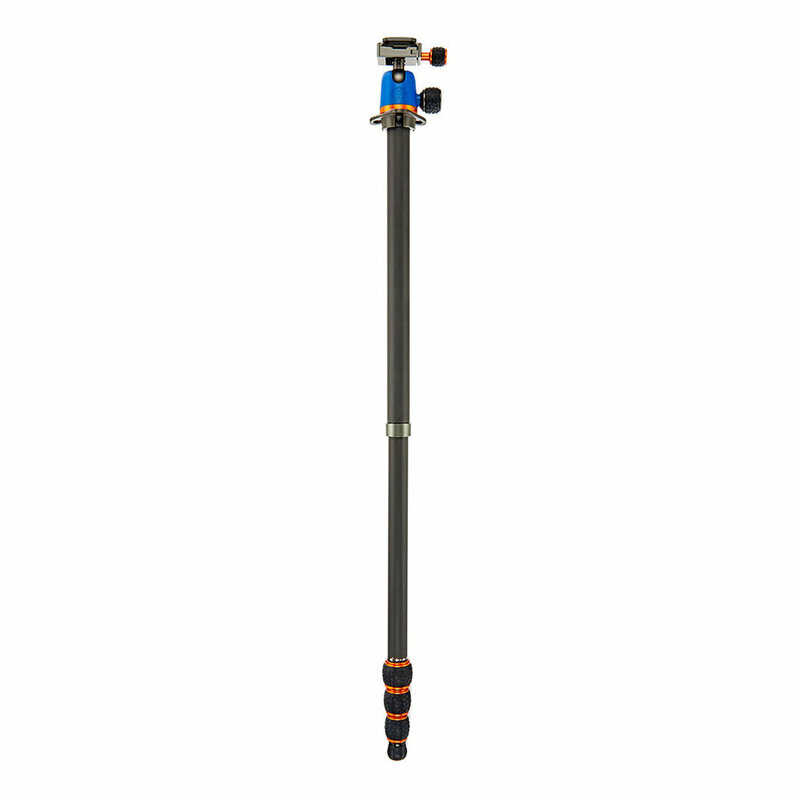 A full height detachable monopod is a sought after feature for most, but the real coup d'état is a minimum working height of just 10 cm / 4"
Billy's legs counterfold around the column and head, enabling the user to get him down to just 46 cm / 18 ". 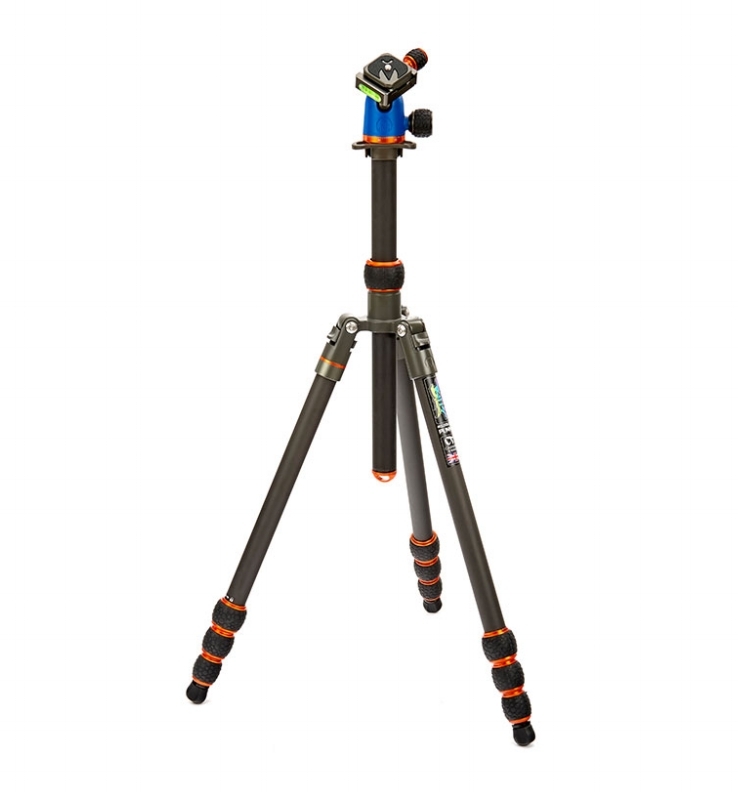 Billy, like all 3 Legged Thing tripods, comes with a detachable monopod leg that can also be used as a microphone or camera boom. Billy has detachable rubber Bootz, which can be replaced with any of our foot accessories, for maximum stability on any terrain. 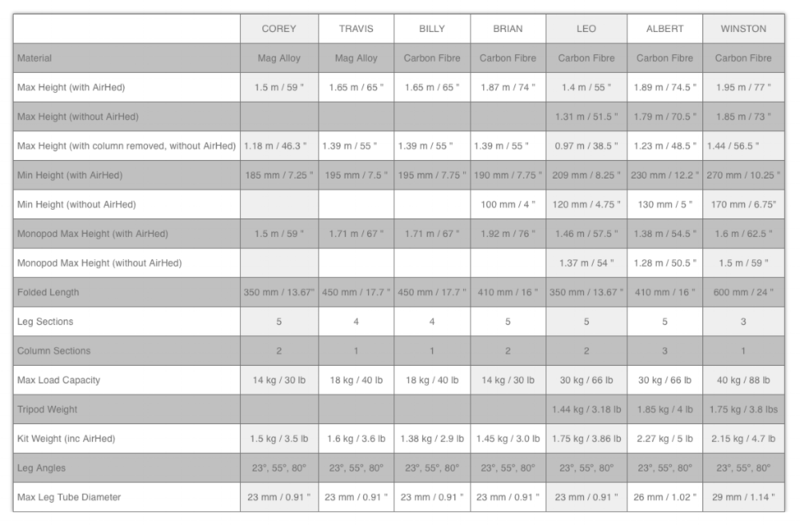 Below is a list of Billy's specifications, including the awesome AirHed Neo. Max Height 1.645 m / 65 "
Max Height w/o column 1.37 m / 53.5 "
Min Height 100 mm / 4 "
Monopod Max Height 1.71 m / 67.5 "
Folded Length 460 mm / 18 "